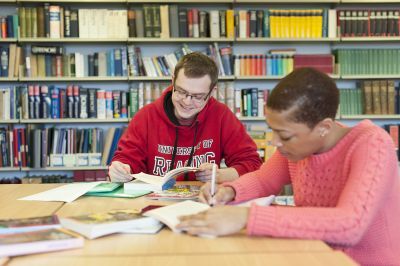 Dissertations and major projects can seem daunting, as they are probably the biggest piece of work you've done and worth more marks than most other pieces of coursework. However, the good news is that a dissertation or project isn't something totally new; it brings together the research and writing skills you have learned throughout your course and gives you an opportunity to apply these to a topic that interests you. You may have developed your research skills across different assignments and at different points during your course, so it is good to reflect back over what you have done, and any feedback you've had, to see how it can be applied to your dissertation or project. Doing the basics well, like planning, structuring and referencing, will provide a strong foundation and enable you to sustain your work over a longer period of time, and word count! Having a clear question and direction for your research will keep you focused and on track; this is something your supervisor can advise on, so it is good to keep in contact with them. Breaking the overall project down into different steps and then into smaller, specific tasks will let you see how to get started, and then keep going. This advice in this guide will help you apply your research skills to finding a question, planning, conducting, and communicating your research, and completing your project successfully.